Hubert Jackson was born in 1943 in Culpeper, Virginia. He began a correspondence course in commercial art during high school and went on to formally study painting, ceramics, printmaking, sculpture and photography. Jackson earned his Bachelors in Fine Arts Education at Virginia State University in 1965. After graduation, he moved to Washington D.C. In 1971 he earned his Master's degree in painting from Howard University. In 1999 Jackson retired from 34 years of teaching art in the Washington, D.C. public schools and settled in Colonial Beach, Virginia. In 2004 he attended the Corcoran School of Art. Jackson has exhibited extensively. His work is in a number of private collections in the U.S. and has been shown in foreign countries such as Lesotho, Gabon, Ghana, Guinea and New Guinea, through the Artist in Embassies program. "It is likely that oral storytelling has been around as long as human language. Storytelling fulfills the need for human beings to cast their experiences in narrative form. Telling stories is a nurturing act for the listener, who is connected to the storyteller through the story, as well as for the storyteller who is connected to the listeners through the story. 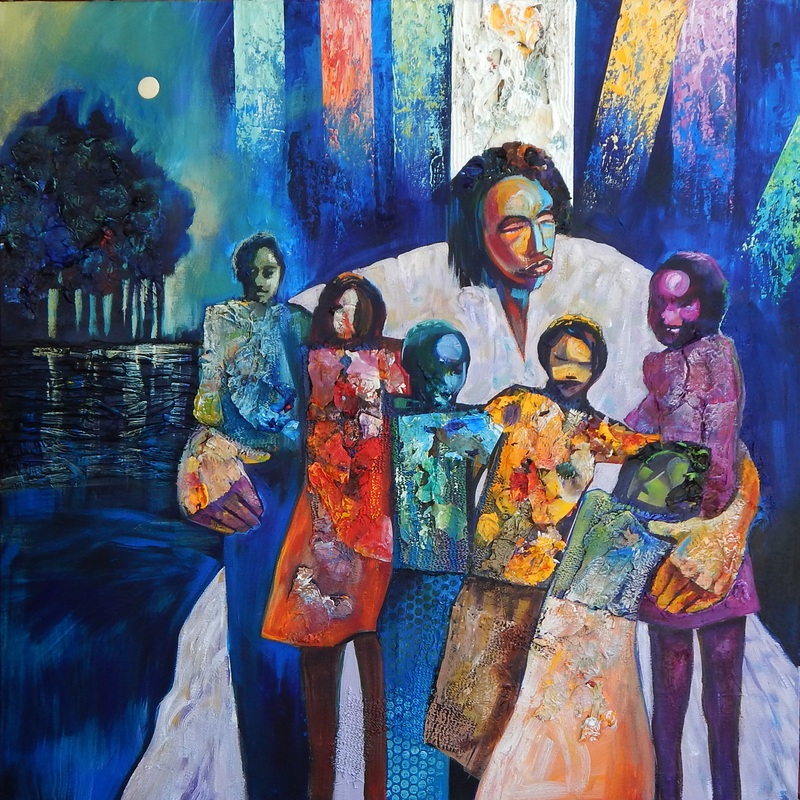 My painting depicts a storyteller with a very diverse young audience."